grass stains: It's snack time! 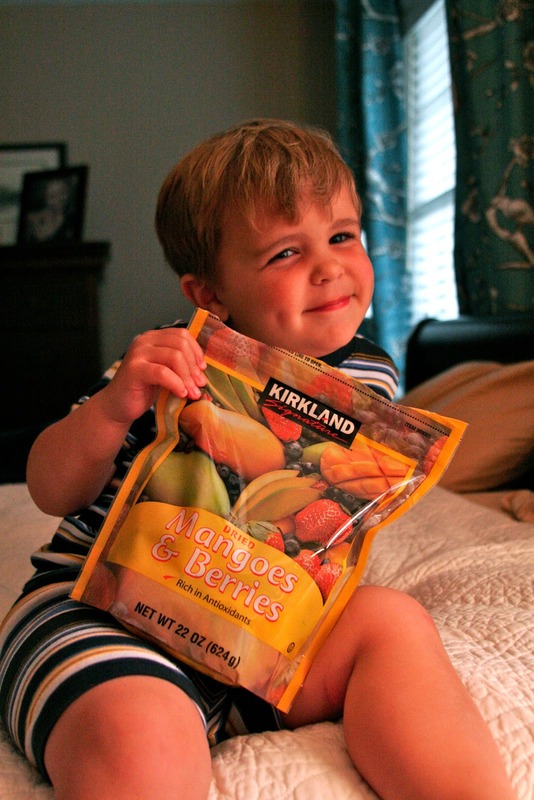 The other day Meg asked her readers what they feed their kids for snacks. Our older boys prefer cheese sticks and yogurt to most other things, but if we'd let them dig into bags of Fritos or packages of Pop-Tarts, I'm sure they'd inhale those instead. 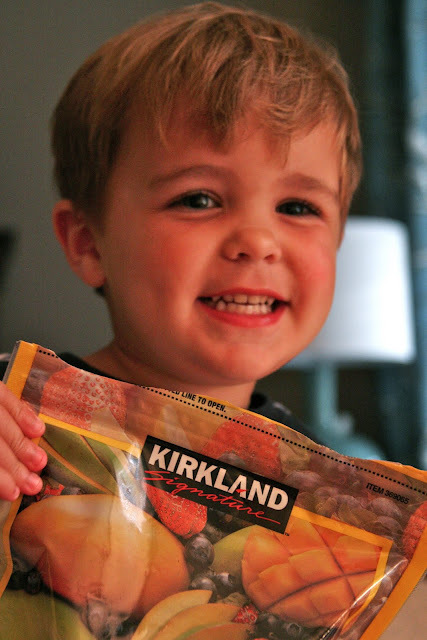 Jake's preferences run almost exclusively to a jar of mixed nuts, peanuts or cinnamon pecans, but his true go-to snack is the big bag of dried fruit from Costco. I'm not saying dried fruit is that healthy for you, but I'm relatively sure it's better for you than Pop-Tarts. So, I don't complain. I'm going to wade my way through Meg's more than 240 comments so see what gems I find in there, but I wanted to ask you -- MY PEEPS, who are less judgey on average than the rest of the Internet seems to be -- what do YOU feed your kids or grandkids for snacks? Quite frankly, there's a time and a place for a sweet, less-healthy snack, so if you have something to share along those lines, please don't let me stop you. We'll be driving about 12 hours to the beach and back in just a couple of weeks, and we like to pack our own snacks instead of relying on convenience stores ... so some of your advice might get used immediately! I was always (and still am) a huge snacker on fruit or home made mixture of cheerios (specifically the trader joe brand) with raisins. I love pb on apples or bananas and this may sound gross but I had a fond love for whipped cream cheese on wheat thins as a kid (can't eat that now b/c of a gluten allergy )-: ). My children eat so much that I have a hard time keeping enough food for them to snack on. I'll be checking comments to see if I get any great ideas. Will is not really a snacker. Mabry and Wyatt can put down a box of cheerios a week. We also eat goldfish, Kix, cheese, blueberries, grapes, apple slices, cream cheese or nutella on wheat toast, graham crackers or half of a pb&j as snacks. I'm thankful to have a 3 year old who likes fruit and veggies! Not that she doesn't have her share of junk, but some favorites are dried fruit, yogurt, cheese sticks, apple slices, grapes, PB on banana slices, and baby carrots. I get the fruit cups that are in water or no sugar added. The other day she asked for a salad. Crazy! Go to snacks..grapes, goldfish, string cheese, crackers (of all kinds), mixed nuts, pringles, and granola bars. At Wal-Mart you can buy small packs of already sliced (heavenly!) apples with small cups of PB or caramel. They're life savers! Kat - As I was commenting I remembered your post on pb/apple sandwiches and was going to search for it. And then a guy knocked on the door and said we had a cow out in the road, and I had to load up the kids in the Gator for a little cow herding exercise. So, glad you shared my brain this morning and did the work for me :) Can't wait to try them! ... what? You don't have cannibals in your house? We also get Horizon chocolate milk boxes because they don't have to be refrigerated. Carrot sticks. Raisins. Cinnamon or chocolate Chex. Welshire farms makes turkey jerky (again gluten free).